There are a lot of people with Camino tattoos of scallop shells and road markers and the cruz espada, but Moritz Platt took a photo of a pilgrim’s arm that deserves special attention. 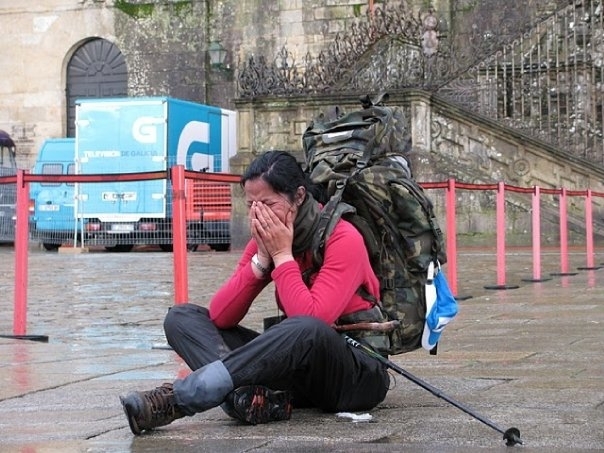 When I walked the Camino I tore out the pages of my guidebook every day as I moved along on the journey in an uber-lightweight approach to the walk, but this has me beat by a mile. This shot is taken from a whole set of Camino photographs that capture the feeling of the Camino, but also youth and music and good times with friends. Well worth a visit.